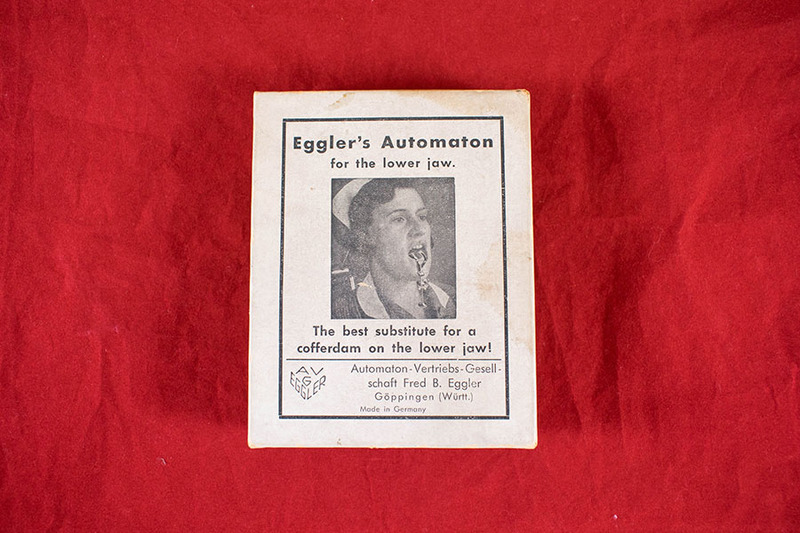 'Eggler's Automaton' for the lower jaw, with stainless steel attachments (chin piece and 3 alternative guards). 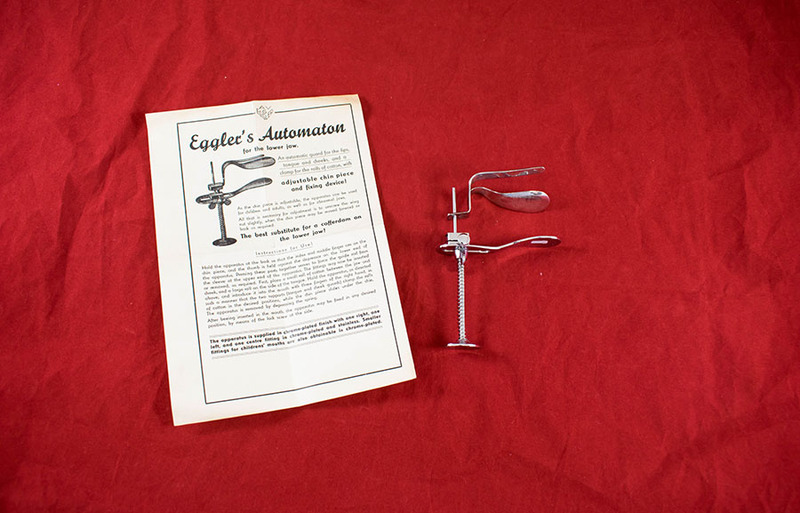 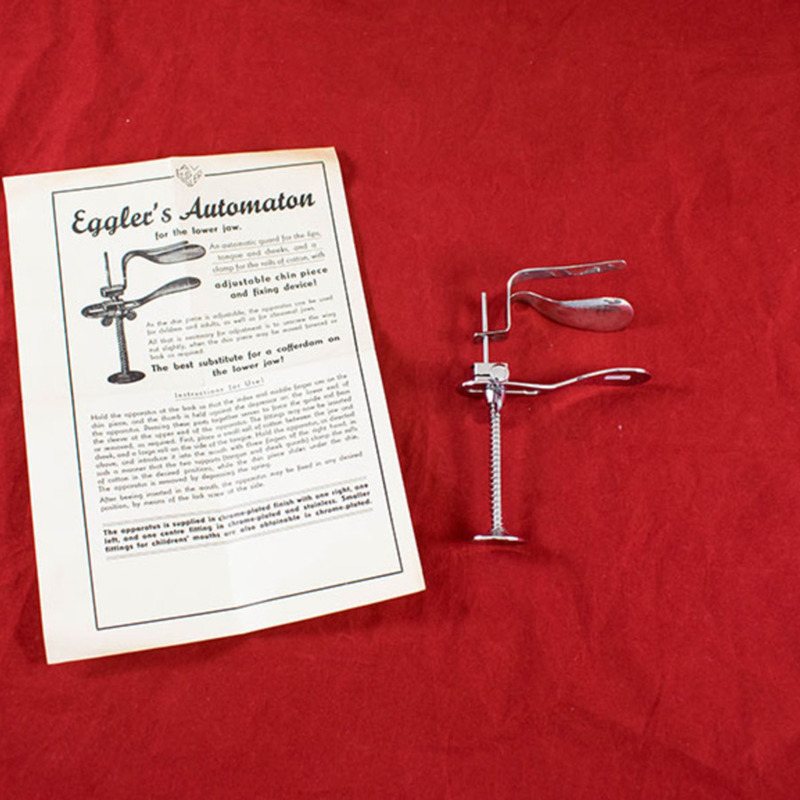 “Eggler's Automaton,” Heritage, accessed April 24, 2019, https://heritage.rcpsg.ac.uk/items/show/683. 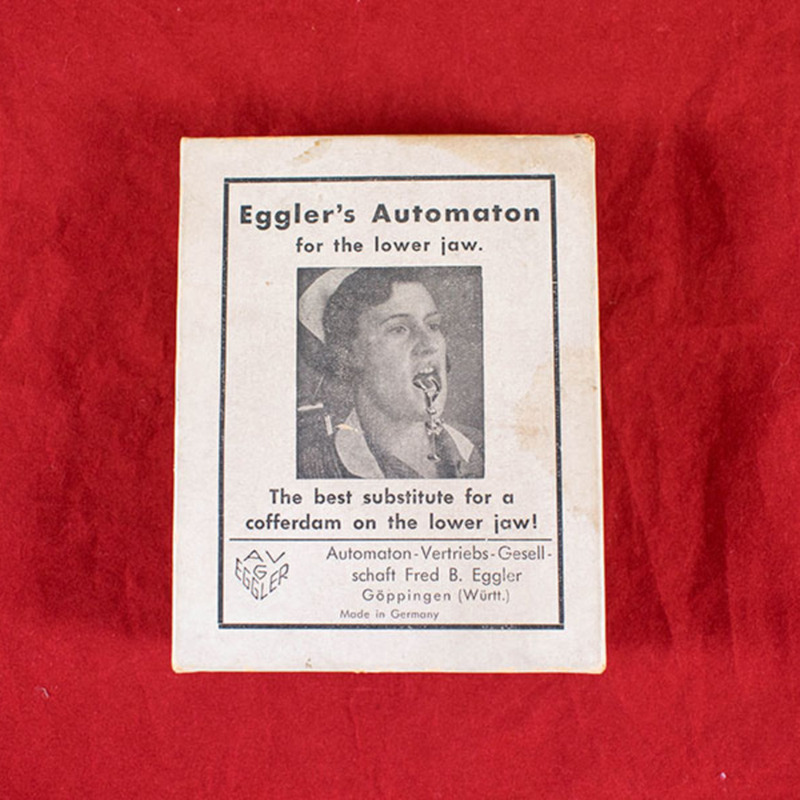 Description: 'Eggler's Automaton' for the lower jaw, with stainless steel attachments (chin piece and 3 alternative guards).